The DNC says that they will exclude Fox News from its primary debates. But, before just blasting Fox News, let’s put the shoe on the other foot. If the GOP said they would not be doing any debates on CNN or MSNBC, would you blame them? The political system is broken, but so is cable news. There is no longer a major cable news channel that plays it straight. Fox News is completely in the tank for the GOP and it is getting them high ratings. CNN and MSNBC are totally in the tank for the DNC and they split those ratings between them. 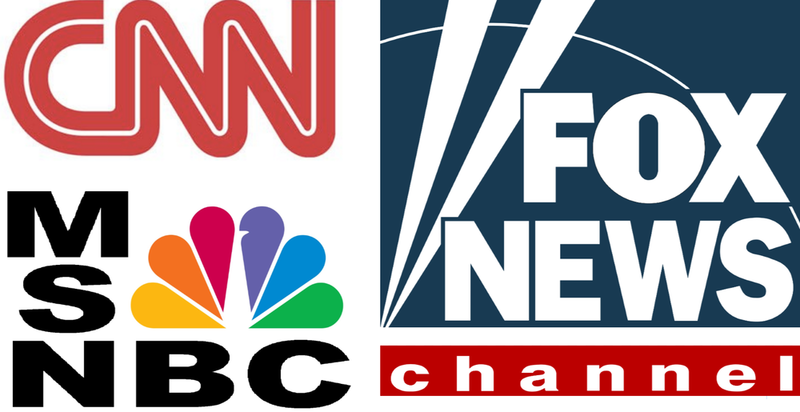 If you want objective news with no political slant, you are not going to find it from these 3. That is just a fact as to how it is and it is very sad that this is what it has come to. Before Jeff Zucker, CNN could have been looked at as a legitimate news operation, but that is no longer the case. In fact, one might argue that CNN is more in the tanks for the Democrats than MSNBC. If you want political BS that affirm’s your political leanings, go ahead and turn on the cable news channel of your choice. If you want straight, objective news, you would be best to steer clear of CNN, MSNBC or Fox News. They don’t do that. There is a small cable news outlet called i24 News that for the most part plays it straight. But, so far it has not made much traction here in the US and is hard to find.